MALAYSIA has always responded to globalisation challenges, but the lack of appetite for structural reforms evidently decelerated after the government’s intervention in heavy industries, starting in the mid-1980s. In the past, real reforms have been put on hold to nurture the Malaysian automotive industry but it is a different era altogether today. This author believes the Malaysian automotive industry is fast becoming a mature market. FIFTH, Malaysia is experiencing a high household debt-to-gross domestic product ratio of 88.5 per cent, which means credit-tightening on car loans is inevitable. The recent venture between Zhejiang Geely Holding Group and Proton Holdings Bhd is a step in the right direction. The public seems to be excessively concerned with the 49.9 per cent investment in Proton, but this author finds it acceptable if Geely were to control a majority stake instead. 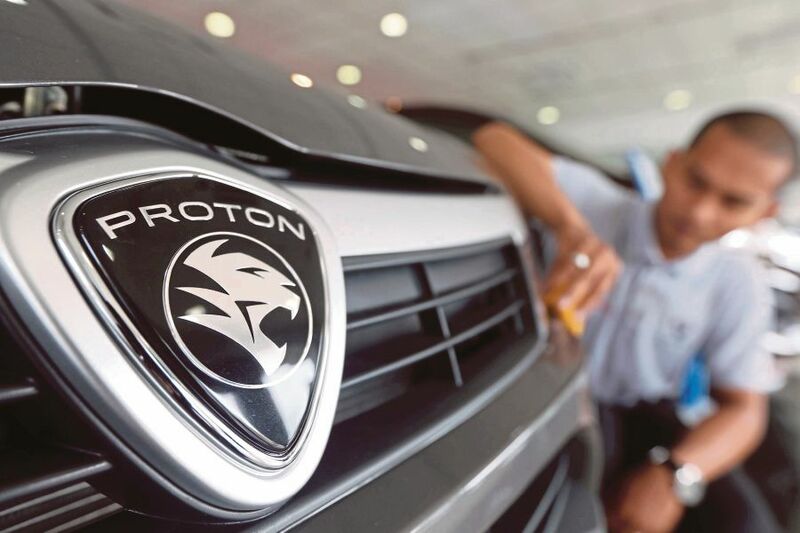 Now that Proton is back to contract manufacturing mode — its initial strategy to profitability — the next step is to address the next big thing in the Malaysian automotive industry: the open approved permit (AP) system. The National Automotive Policy review in 2009 stated that the Open AP system, which allows importation of used cars, should have been terminated by Dec 31, 2015, while Franchise AP, issued to franchise car brands’ holders, was to be phased out by Dec 31, 2020. Over the years, however, the International Trade and Industry Ministry had decided to maintain existing automotive import mechanisms albeit with minor policy tweaks. The initial justification to adopt and maintain the present AP systems was to build Bumiputeras’ capacity in the automotive industry, in which many of them have become successful entrepreneurs. Besides, the system can no longer address the car affordability issue as in the past, as most cars imported via the Open AP system catered for the high-end market more than in others. The AP system’s future has been a hot-button issue not only because of the deadweight loss resulting from perpetuation of automotive import policy since 1980s but, more importantly, it is inconsistent with our obligations at the multilateral level. In line with Malaysia’s commitment to the World Trade Organisation, the present import licensing/AP mechanisms, excise duties and other non-tax measures in the automotive sector should be phased out in the near term. The importation of used cars exposes the country to degradation of road safety. The Open AP system allows the importation of used cars that are lower in value in other countries while fictitiously extends the life cycle of cars beyond the net book value once imported into our market. Carbon emissions are also notably higher in used and aged cars than in brand new ones. The ceiling approval of Open AP is based on 10 per cent of the country’s total industry volume (TIV). According to the Malaysian Automotive Institute, Malaysia’s average annual TIV in 2010 to last year was 628,873 and, in theory, the total Open AP allocation in the said period was 62,887 a year. Since 2010, the government has imposed a fee on each Open AP of RM10,000 and, as such, the total collection of Open AP fees in 2010 - 2016 should be around RM4.4 billion. The way forward is for the government to address compliance and enforcement issues of the Open AP system where it matters the most. The onus is on AP holders to sell cars and nothing else. This can be done by making it obligatory for AP holders to clear stocks within the calendar year or risk facing a reduction in AP allocation in the following year. In addition, the present AP fee of RM10,000 to Open AP holders can be further strengthened by imposing an upfront payment upon approval. Granted, reforming Malaysia’s automotive industry is not as simple as going from point A to B. Transport technologies will change the way we commute in the future and car ownership may soon be a thing of the past. As such, there must be proper systems in place so that reforms can be done in a steady and timely manner without having to wait for external pressure to overcome political resistance and push for reforms.